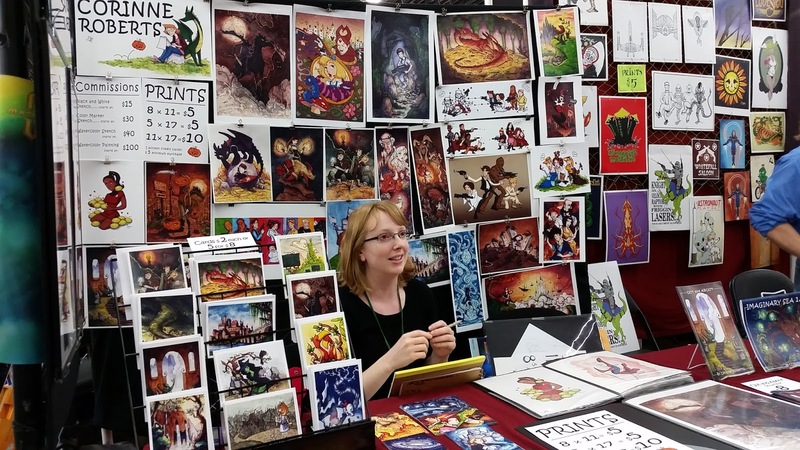 Today is the first full day of the Grand Rapids Comic Convention. So we headed out pretty early to check things out before it got too busy. Last year (their first year) by 3pm they were turning people away and the building was packed. They've moved to the Delta Plex Arena this year, which is larger than a school gym. Comfort and Adam were there, of course, and all set and ready to go. 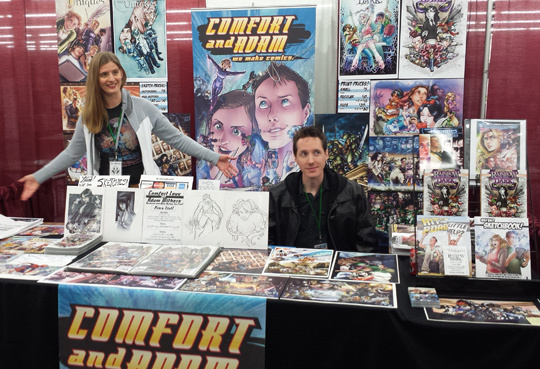 Corinne was there as well, and had a pretty nice booth setup. She's a friend of Comfort and Adam's and has been going to several conventions with them. It was cool to see her there. We met up with Dan and we walked around for several hours checking everything out. The convention filled up pretty fast. We left by 1pm and it was already getting hot, smelly (there isn't good air ventilation in a few spaces) and packed. I noticed that by 2pm they'd stop selling their tickets because they'd reached capacity. But that's good news for them. It definitely means that there is a demand for this type of show in the area, which is fantastic news for Comfort and Adam since they're moving back to town next week. Chris has a bunch of nice photos from around the convention.